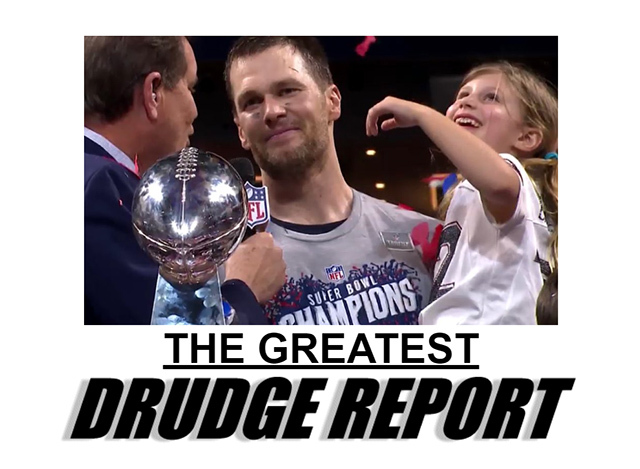 "Tom Brady's New England Patriots Are Team MAGA, Whether They Like It or Not," The Daily Beast's headline read from writer Corbin Smith, along with the subheader: "Their star quarterback, coach, and owner all supported Trump. 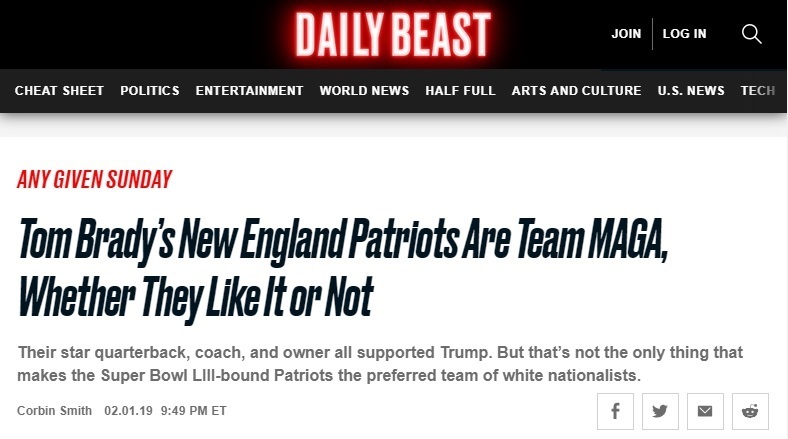 But that’s not the only thing that makes the Super Bowl LIII-bound Patriots the preferred team of white nationalists." I guess it's 2016 all over again!